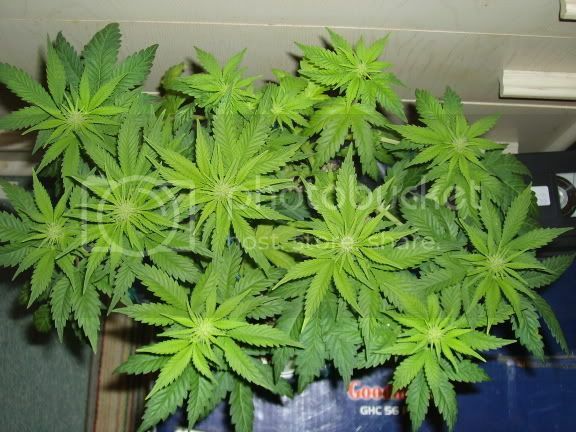 Discussion in 'Marijuana Grow Journals' started by Busted, Mar 28, 2006. 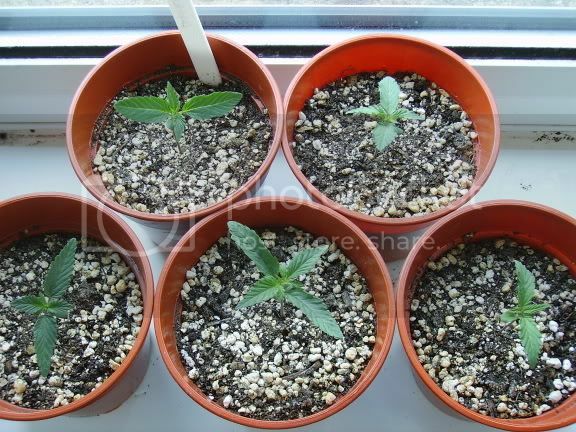 All but 1 is above ground now and looking ok so far, there under 80 watts of cfl's for the time being. The soil is a mix of 1/2 potting soil 1/4 perelite and 1/4 vermiculite. Your going to need a lot more flours! But sounds good so far. Put up some pics. Make sure those CFL are real close, like 2-3 inches. What is your set up? Purilite, 80 watts will be ok for now and when the time comes i'll add another 80watt for during the vegging. Ibowl, I'll get onto some pics asap. The space i've got for now is only 2sqft by 3ft high, there's a small desk fan blowing over the sprouts and lights. Thats about it i think, once my white widows have finished flowering the bubbles will be going into the flowering cab. you grew that with 80w of fluro's? pretty damn good if thats the case. 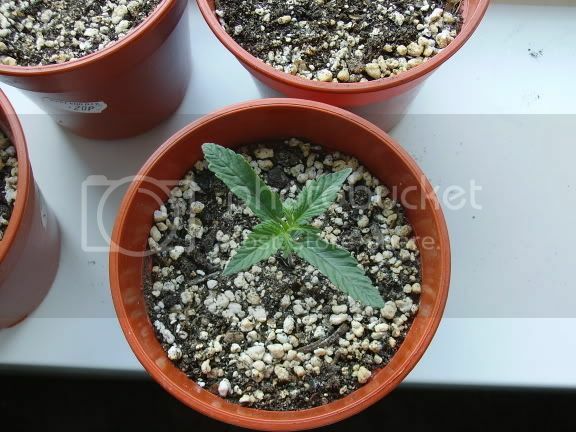 lol no her and her sister are under 240watt of cfl's had 5 under but 3 were male. The seedlings are under 80 watts on 18/6 for now, that increase as they grow. Right 1st off the 1 that didn't sprout has now been removed as there was no sign of life lol. The other 5 are all doing ok so far. Here's some pics of them on day 5 of veg, what'd you think? Yesterday i add another 80watts into the cab, making it 160watts at the moment. All 5 plants are doing well. Still just water for them at the moment to. i second that! keep us posted man! those r some pretty girls man. you gave me some hope on using cfls. 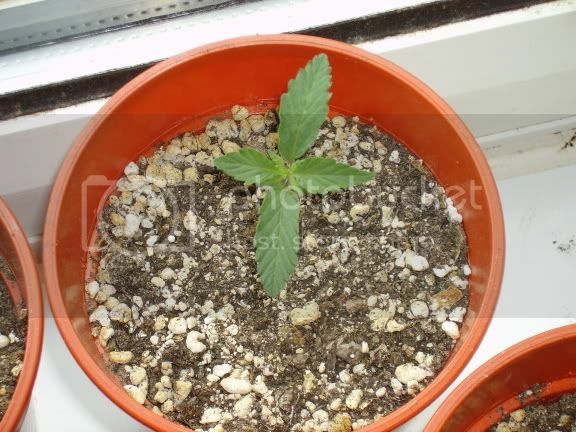 im on my first grow about the size of your seedlings using 2 smaller cfls. 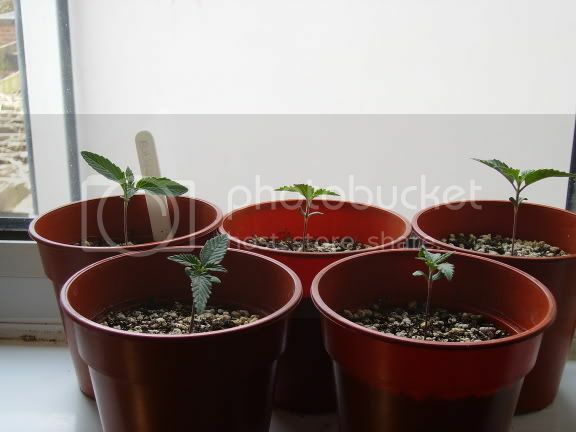 as you may remember, im also growing bubblegum under cfl's, my girls (fingers crossed) are about 3 weeks old. i dont think i have as much light as you though, only 120W. but theres so much mylar i think the plants are doing fine. itll be nice to compare. 1st grow, and using CFL's. Advice on lighting.